I'm pleased to welcome Carolyn again with a blog post about children's books. For the September book I really wanted to concentrate on school stories as a genre because above all September to me speaks of the new school year and all that brings with it; rows of coloured pencils, timetables, uniform, backing exercise books (with wallpaper in my day!) and lots and lots of stationary – oh how I always loved that aspect of it. My plan was to speak generally about the genre and then pick out one of my favourites, Elinor M Brent-Dyer’s Chalet School and look at in a little more detail. 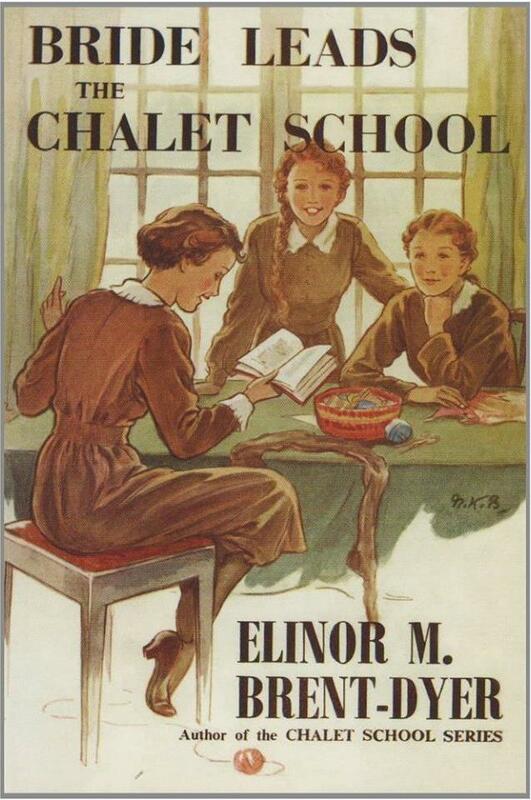 However given that several people did not know about Enid Blyton and the Famous Five back in summer, I thought that the Chalet School would be too little known so I will concentrate mainly on the genre. My own children’s book collection has as its main component a large section of what are known as ‘Girl’s Own’ books. That is books written for girls in their teens from around 1900 to around 1960 and mainly English (although some American and Australian books fall into this category) and a large section of these are set in schools, be it day schools or boarding schools. 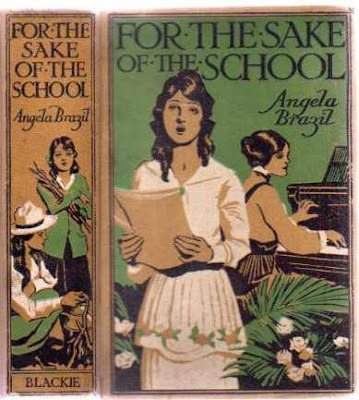 The school story became a subgenre of the Girlsown genre. There are more authors than I could possibly list who wrote this kind of book, but the ‘big 4’ are Elsie J Oxenham, Angela Brazil, Dorita Farlie-Bruce and the aforementioned Elinor M Brent-Dyer. 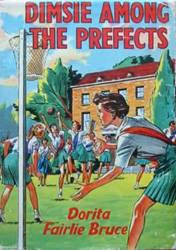 Apart from Brazil, they all wrote series of books (Brazil wrote stand-alone titles) with heroines who were loyal, honest, good at sports (but not good enough to become games prefect as the heroine had to become head girl!) leaders, hard workers, and of course middle class, or even verging on upper class in a few places. Oxenham especially was class conscious marrying one of her heroines to an Earl and sending her to live in a castle based on Arundel Castle. School becomes a place where a community of girls can be established, living with their own rules, both those imposed by the school and those by their own community. A world apart is established and adults, like in many adventure stories, are side-lined or shown as living within their own parallel community (Such as the staff in Brent-Dyer’s Chalet School). We see mystery, feud, prank, adventure, and growing up, all in a setting which is both familiar and at the same time a step removed from the real world of the reader. Many of these books, because of the period in which they were written confront topics such as death and illness of friends and siblings or war, peace and patriotism and in all of them girls are shown as developing their own thoughts and opinions. Although very old fashioned and sexist in numerous ways, such as presuming girls will learn to cook and sew, focus on arts rather than science and most will want a family; they also present many role models of bright, intelligent girls who want to study at a university level, and/or have careers even if they do then expect to give them up when a family comes along. Those stories that also focus on the staff again show strong women who are satisfied with life and happy with their career and independence. 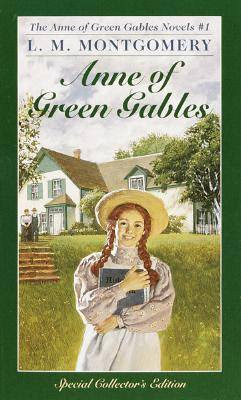 Looking wider than the UK, other books that fit this genre include Susan Coolridge and ‘What Katy Did at School’, many of the Anne of Green Gables books by L M Mongomery have school as a focus, especially when Anne is training and then teaching. (And of course the famous scene with the young g Anne when she is called ‘Carrots’ by Gilbert and she hits him over the head with her slate!) Many of the Laura Ingals Wilder ‘Little House’ books have these elements as well, and all of the above books are certainly considered by enthusiasts to be ‘Girlsown’. Clare Mallory in New Zealand also wrote books in this genre, most famous being her ‘Merry’ series, which despite being set in New Zealand has all the same features as the English counterparts. Whilst this article focuses on my own early 20th century interests, the school story is still alive in modern forms. 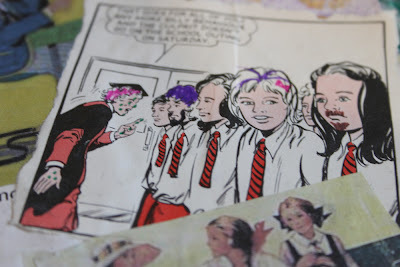 Moving on into the later part of the century was Enid Blyton with Malory Towers and St Clares and then Antonia Forrest with her stories about the Marlowe family, 4 of which were traditional school stories. Then there was Gene Kemp’s ‘The Turbulent Term of Tyke Tyler’ in the 1970’s, Witch Week by Diana Wynne Jones in 1982 and of course the Harry Potter books of modern times. Whilst these later two are fantasy books, they also sit very well within the School Story genre, with all the traditional aspects being seen. 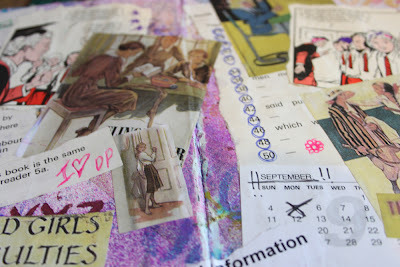 My project to go with this article is a covered exercise book. 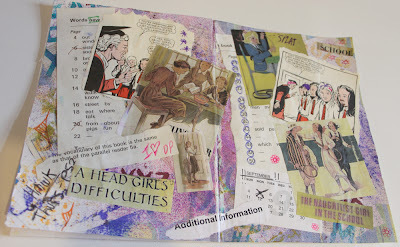 I wanted to keep to the idea of school, so I used a composition book and worked directly onto the cover. I started with taking out two inside pages, ripping them up and then gluing onto the cover along with some other dictionary and tables pages. Over this was a light coat of gesso and then I used spray ink through letter and number stencils. The final layer to be glued was made up of pictures and papers relevant to school and then I doodled on top of this in the way we used to doodle on the covers of our rough books when I was at school. (If you didn’t have them, a rough book was one we could use for notes, homework, drafts, revision, scribbles, writing spellings to learn them, and anything else that we needed to jot down but wasn’t to go into our exercise books. They were low quality paper and never collected by staff – only the office looked at them to make sure they were full before giving us a new one.) We could write all over these, but never on our exercise books. The photographs show my book laid out flat so you can see both the front and back, as well as a couple of close ups. Thanks Carolyn. A great article and project. Don't forget to share what you do using the linky below.